The best thing books are capable of is taking you to another time and place so you can learn and experience things you’d never know otherwise. 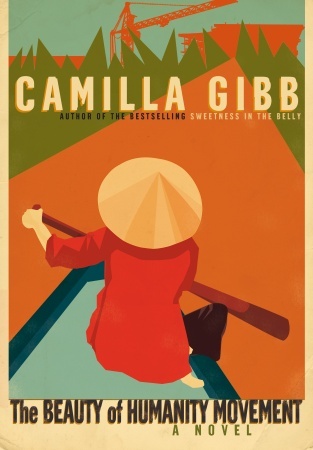 In this novel, Camilla Gibb took me to Vietnam, a place I’ve never been either in life or in literature. The visit was brief but enlightening. The story centres around three characters, the first of whom is Old Man Hung, a man gifted in the art of making noodle soup. Hung has lived through the Communist revolution, the American War, and many years of grinding poverty and hardship. His fortunes have gone from high to low, and now, on the verge of a new era of capitalist expansion, it may be too late for his luck to swing upwards again. A young man named Tu, the son of an old friend, is like a grandson to Hung: Tu and his interests and concerns represent the new Vietnam, modern and forward-looking. Finally there is Maggie, born in Vietnam but raised in the US, an art historian who comes to Vietnam looking for traces of the once-famous artist who was her father. All the characters are real and engaging, and the way their lives interact makes a highly readable story. But it’s really the insight into Vietnam’s past and present that lingered with me after closing the book. The best possible way to learn about another culture is through people and stories, and for a short time, reading this story, I was drawn into another world. Camilla Gibb is a wonderful writer who uses language with great care and shows obvious knowledge about and love for the people and places she writes about.